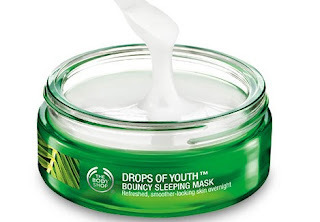 The Body Shop new youth-enhancing sleeping mask is enriched with Edelweiss stem cells. It is designed to be left on overnight to sink in while you sleep, leaving skin feeling bouncier and replenished. I am lucky enough to get The Body Shop DROPS OF YOUTH™BOUNCY SLEEPING MASK in my The Body Shop Life is Gold Event Goodies Bag.It’s been quite some time that I am testing this product in a hot humid weather of Islamabad and Lahore . 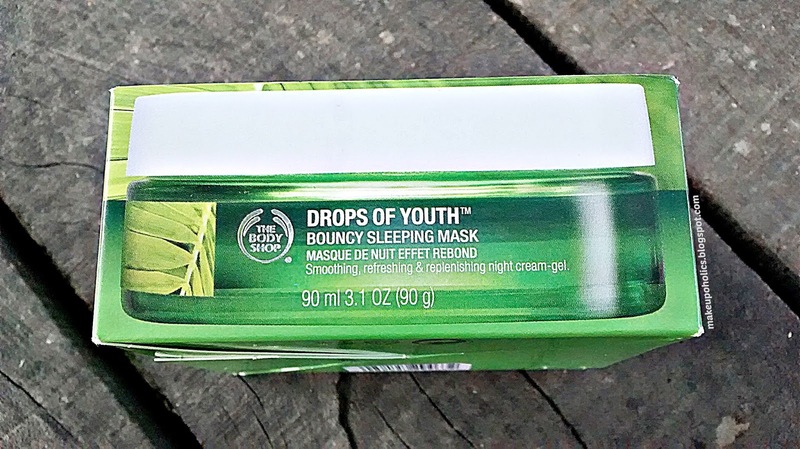 The Body Shop DROPS OF YOUTH™BOUNCY SLEEPING MASK comes in a box, inside which the actual product is in a heavy glass jar with a cute little spatula. 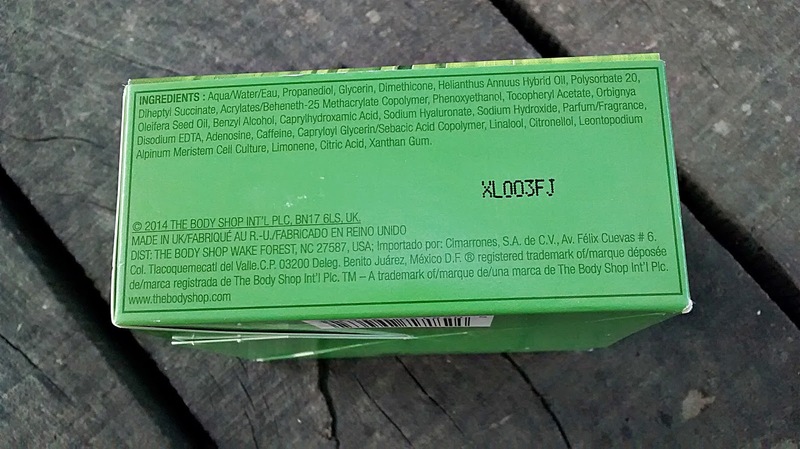 I am so glad that The Body Shop included a spatula inside the box as the jar packing is definitely unhygienic. The jar is really heavy and is definitely not travel friendly. 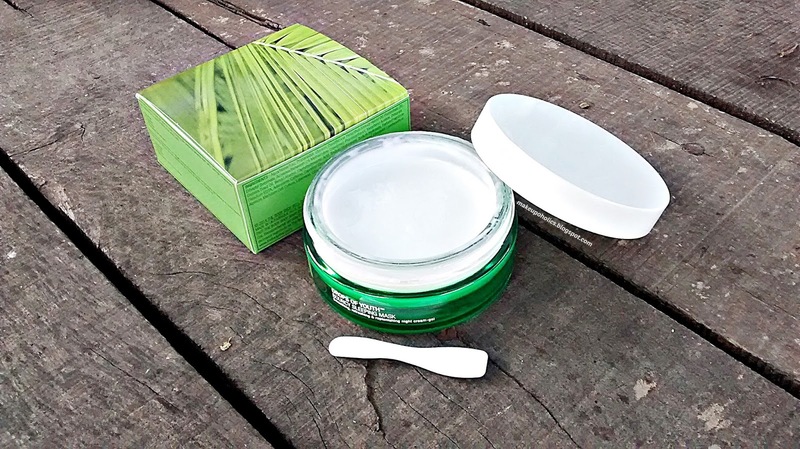 The mask is white in color having a gel like texture which is creamy and bouncy . No matter how much product you take out , the remaining creamy gel bounces back in no time leaving the surface equal and balanced like the product is not even touched . 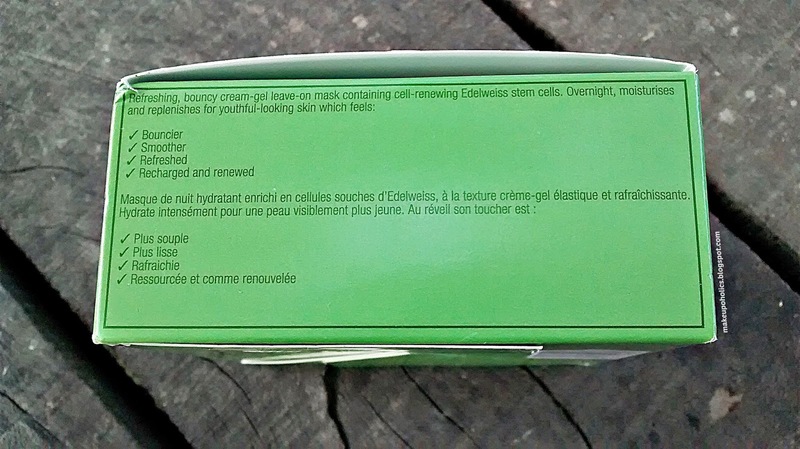 Based on the stem cells as the core ingredient it smells fresh and herbal . The fragrance does not lasts for longer . Sleeping mask should be the last step in your night time skin care routine. Basically you need to sleep with the product on your face and wash it off the next morning. 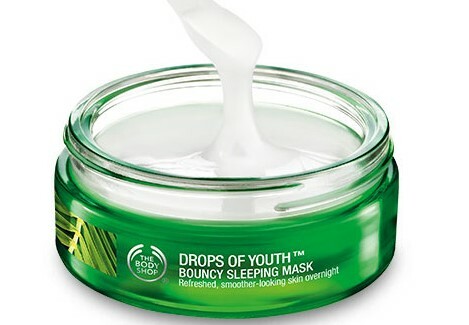 The consistency of The Body Shop DROPS OF YOUTH™BOUNCY SLEEPING MASK is so good that a very little amount goes a long way. The mask takes 10-15 minutes to sink into the skin. Till then, it feels a little bit tacky and sticky.But after that you just feel your skin bouncing back and super moisturized. The Body Shop has also made a video with a rhyme, to perform the “bouncy massage” technique correctly. Coming to the claims , my skin felt super moisturized right after its first application . Next morning my skin was super hydrated , smooth , soft and refreshed . Thank god I don't have wrinkles yet so I can not say anything about the other claims but yes it gives that healthy look to my skin . 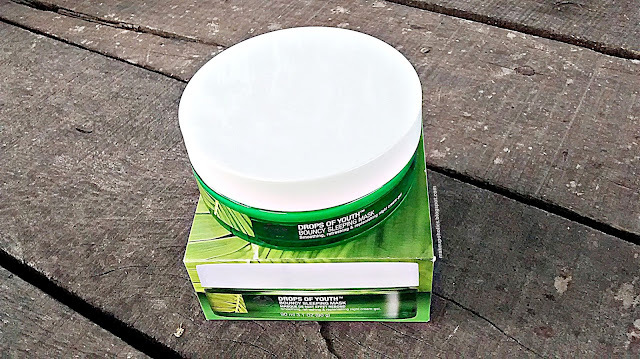 Having a combination to oily skin , I am using it three or four times in a week to avoid any breakouts as my skin is going super crazy these days because of the hot and humid weather . Yes because you actually love your super soft and healthy skin the next morning . For more images do check my Instagram as I got the Honor to do the Live streaming of the amazing event . 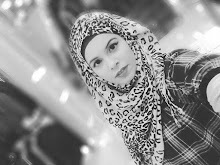 Check the amazing clips and highlights of The Body Shop Pakistan - Open the gate to goodness event by clicking HERE . THis looks great yar... DO u think it will suit dry skin?? 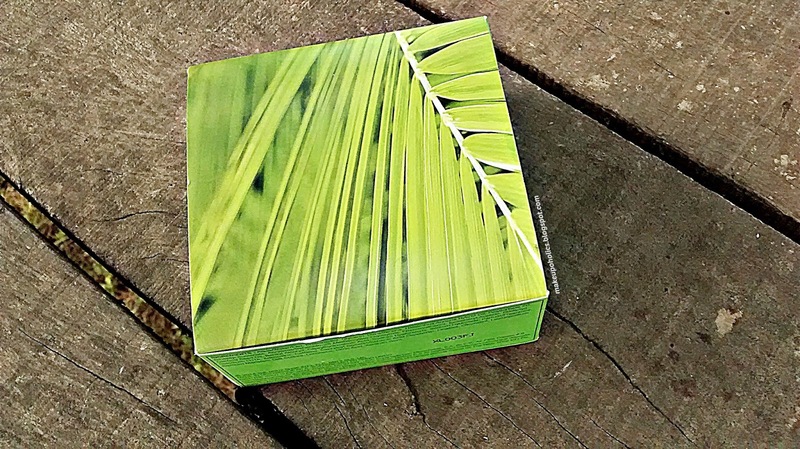 my mom and I both love this mask but hate the sticky feeling on my hands after application. Hearing good reviews about this little thingy, gotta try this. I always prefer to get skin care products that keep my skin hydrated. Would try this one. I lost the applicator sadly!